Description - Are you afraid of the dark? Well, fear no more with Joy Carpets Neon Lights collection. This carpet is unique in that it fluoresces in the dark adding a unique and fun feeling to any room. Commonly used as flooring in home cinemas and playrooms, this carpeting is very easy to clean and maintain. 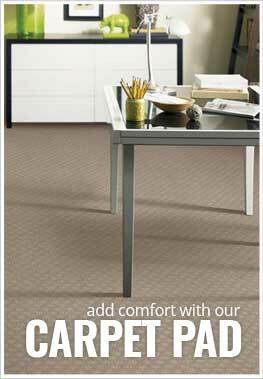 Resistant to mold, mildew, soil and staining make this carpet the perfect floor for any high traffic area. Anti-static and fade resistant, Joy Carpets Neon Lights is backed by a lifetime warranty. Pattern Repeat - 36" x 36"
Face Weight - 18 oz./sq.yd. Recommended Uses - Joy Carpets Neon Lights carpeting is the perfect flooring option for home theaters, playrooms, family rooms, in bowling alleys, in movie theaters, in day cares and much more. Resistant to mold, mildew, staining and soiling. Glow in the dark carpet.